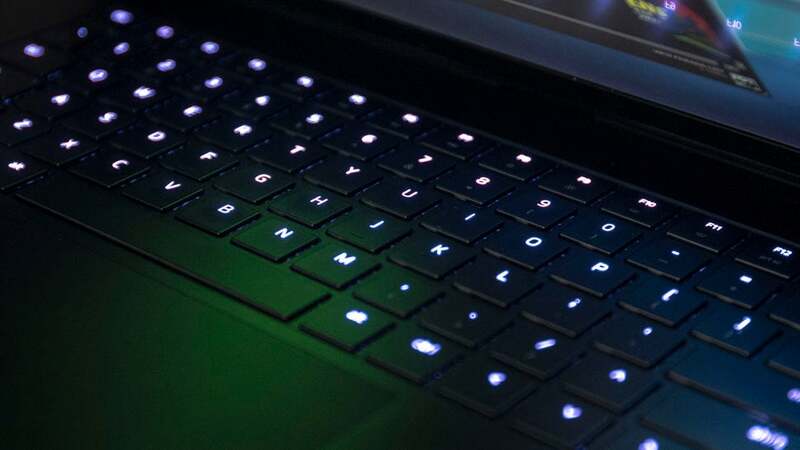 The new redesigned Razer Blade laptop (now called the Razer Blade 15) is no longer a thin little outlier in the chunky landscape of portable gaming machines. When it was a 14-inch laptop, it was a powerhouse for its size—an incredible feat of engineering that managed to be an accomplished gaming machine and a laptop portable enough to be tossed in the bag. Over the last year the landscape of gaming laptops has radically altered course, and Razer is no longer the only company selling thin and light gaming laptops. Nvidia is behind much of the change here. It’s currently the de facto provider of GPUs for gaming laptops, and last year it announced a new design philosophy for gaming laptops called “Max-Q.” Max-Q asks that laptop makers sacrifice a little speed for far better portability. Consequently nearly every major laptop maker has released a super thin and light gaming laptop with a Nvidia 1060 GPU inside. What was once Razer’s schtick is now common. 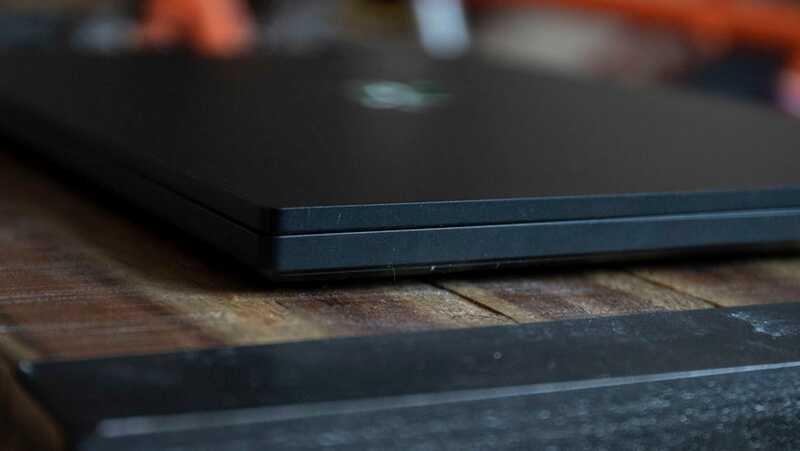 Instead of going thinner and lighter as one might expect, the new Razer Blade 15 is .4 inches longer and .4 pounds heavier than its predecessor. Fortunately that added weight and girth isn’t all that noticeable. It still fits in all my laptop bags and backpacks with ease, and it still never feels so heavy as to be a burden. With the new larger size, the old 14-inch display has been swapped for a more standard 15.4-inch display with a slim 4.9mm bezel. The added real estate is nice when I’m traipsing though big dark caves in Pillars of Eternity or marvelling at the scenery in Far Cry 5. In fact, there’s no real dealbreaker in the Razer Blade 15. Yes Razer Synapse, the software used to customise the laptop’s RGB lighting, continues to be so obnoxious it borders on malware. And Razer also continues to pack its laptops in an all black aluminium body that doubles as a magnet for fingerprints. Yet these annoyances aren’t new, and if you’ve suffered them in the past you’ll probably continue to suffer them now. 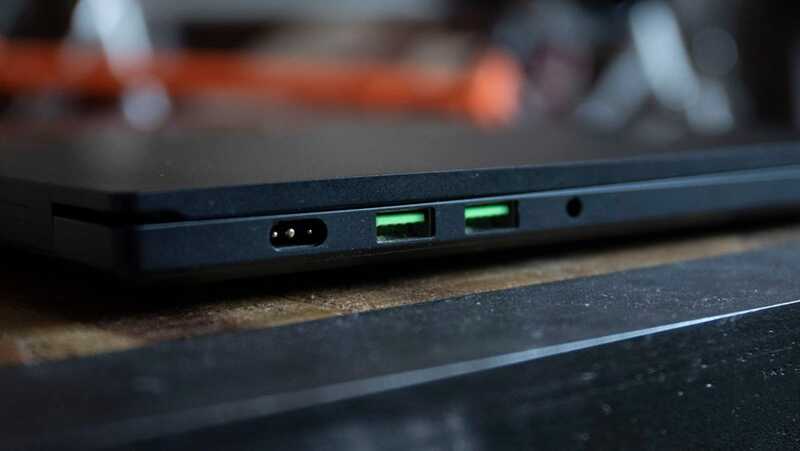 The Razer Blade also uses a proprietary port for charging, and that’d be annoying too, but it’s because USB-C can’t handle the wattage the computer’s souped up insides require. So it’s not fair to ding it. Nor can I get too upset about the trackpad, which responds wonderfully, but has a super annoying click that isn’t pronounced enough. I misclicked a dozen times before I remembered that for gaming I should use a mouse, and thus the trackpad was probably an afterthought. The keyboard, thankfully, does not feel like an afterthought. In fact it’s one of the best low profile keyboards available on a laptop right now. There’s a good tactile bump when you press down, so your finger knows exactly when the key is actuated and you can let go and hit the next key. 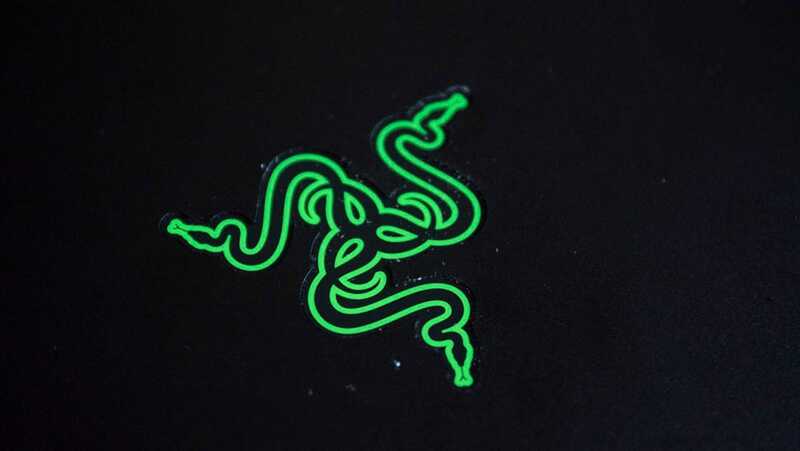 Razer has invested significantly in nailing down great feeling key switches over the last couple of years, and it’s finally starting to pay off in its laptops. Because it moved up to the more common 15.4-inch display size, Razer can now provide quite a few options for display types. Want more colours and 4K resolution? You can pay for that. Need a 1080p 60Hz display so cost stays below £2000? That’s an option too. I opted to review the £1,980 model with a 144Hz 1080p display. The 144Hz is nice for older games, where the Nvidia 1060 GPU can crank out more than 60 frames per second and really take advantage of the display’s ability to refresh 144 times a second. Yet I don’t think it’s worth the extra money generally speaking. That’s because while the Razer Blade 15 continues to be one of the lightest and thinnest gaming laptops out there, it’s not the fastest. Inside Razer packed a 512GB SSD, 16GB of RAM, an Intel 6-core i7-8750H CPU, and a Nvidia Max-Q 1060. That’s a lot of power, but when I tested this year’s Far Cry 5 in 1080 on the highest setting (Ultra) it managed an only decent 61 frames per second. That’s perfect for a cheaper 60Hz monitor, but means the 144Hz display is completely unnecessary. Razer does offer a more powerful 1070 GPU, but it would likely only do about 10-15 fps better in the same game. The similarly thin MSI GS65 with a 1070 did 76fps. The Razer Blade 15 also didn’t even come close to that 144Hz sweet spot in older games. In 2015's Rise of the Tomb Raider on 1080p on High it did 70fps. The aforementioned MSI GS65 did 94fps. 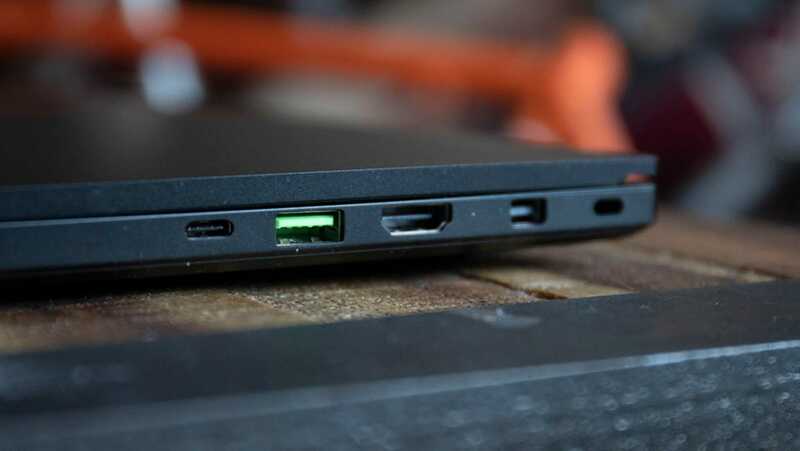 That power port is irritating, but necessary according to Razer. With HDMI, Display Port and USB-C the Blade is not lacking for video outs. That garish green logo persists. Razer’s moved the power button. You can still take advantage of the 144Hz display, though, you’ll just need to drop the settings on the games, which is a compromise I’m honestly willing to make for portability. Because what the Razer Blade lacks in power it makes up for in battery life. 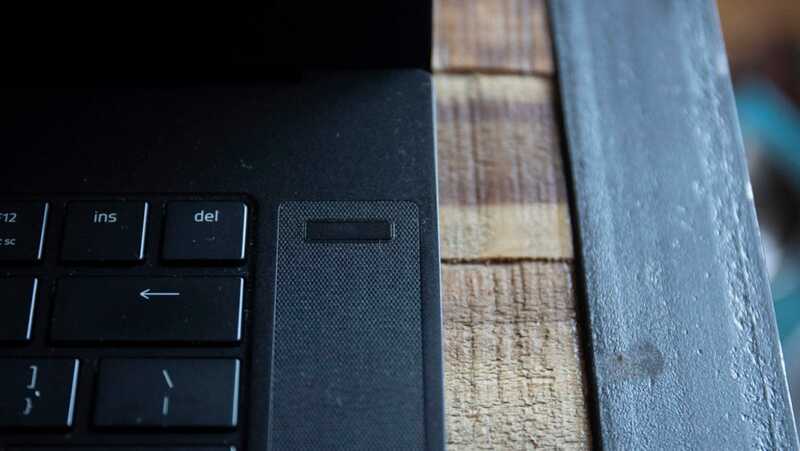 Simply put, this is one of the best performing batteries we’ve seen in a gaming laptop. At 7 hours and 21 minutes, it lasted twice as long as any other gaming laptop (the MSI GS65 lasted just 4 hours and 23 minutes) we’ve tested in our battery run down test, in which we stream a very long YouTube video until the laptop dies. That’s a damn remarkable feat and one very good reason to consider the Razer Blade 15 over other thin and light gaming laptops. Imagine if Dell put the design effort it puts into its XPS series into a gaming laptop. Or Lenovo into its Yoga series. Imagine if a gaming laptop could have all the flash expected of a gaming laptop (fancy keys, shining lights), but also the nuts and bolts needs of a general purpose laptop (great battery life, portability). Razer’s gone and created that laptop. 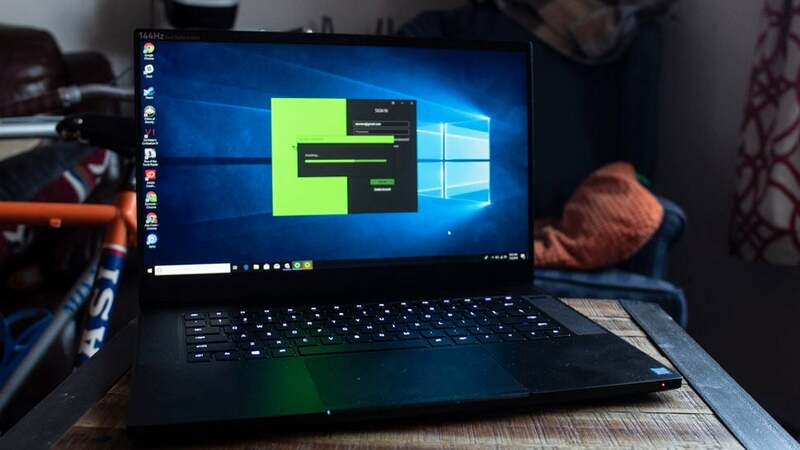 If a 15-inch workhorse like the Dell XPS 15 isn’t powerful enough for you, and the battery life on gaming laptops like the MSI GS65 is too middling, then check out the new 15.4-inch Razer Blade 15. Just maybe don’t splurge on that 144Hz display. But its battery life is exceptional. It really is a lovely blend of performance and portability. The proprietary power port is irritating. As is the trackpad (bring your own mouse). The keyboard is nice though.